The polymerase chain reaction (PCR) is a fundamental part of modern molecular biology. Fluorescence-based PCR methods also are now available, which enable rapid, specific, and sensitive assays for the amplification and analysis of deoxyribonucleic acid (DNA). These methods are performed in closed-tube format, thereby reducing the risk of contamination between stages. In addition, post-PCR processing, such as clean-up steps and gel electrophoresis, are eliminated as the results are read via an integrated fluorimeter. An example of this methodology is fluorescence-based PCR using dual-labeled probes, termed dual-labeled end-point fluorescence PCR. This method uses oligonucleotide probes that are dual-labeled with a reporter dye and quencher dye. The method has the advantage that DNA extraction, liquid handling, PCR, and analysis also can be fully automated. 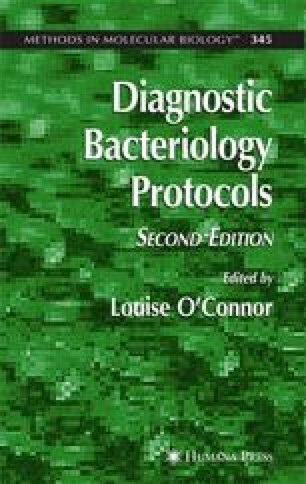 In this chapter, the simultaneous detection of Neisseria meningitidis, Streptococcus pneumoniae, and Haemophilus influenzae from clinical samples is described.